Asset Preservation Services, Inc. prides itself in providing complete asset management services for fixed equipment utilizing custom built databases and inspection services. We are trained and certified with the appropriate technical societies for each industry we serve, including ASNT, API , ASME , NACE, and others. Our commitment to quality assurance allows us to update our procedures consistent with industry best practice and guidelines. Standardization of incoming data and proper follow-up from time of initial discovery. Proper Mechanical Integrity software that allow for tracking of inspection and repair requirements. A quality control system that standardizes the execution of the work with consistently repeatable results. 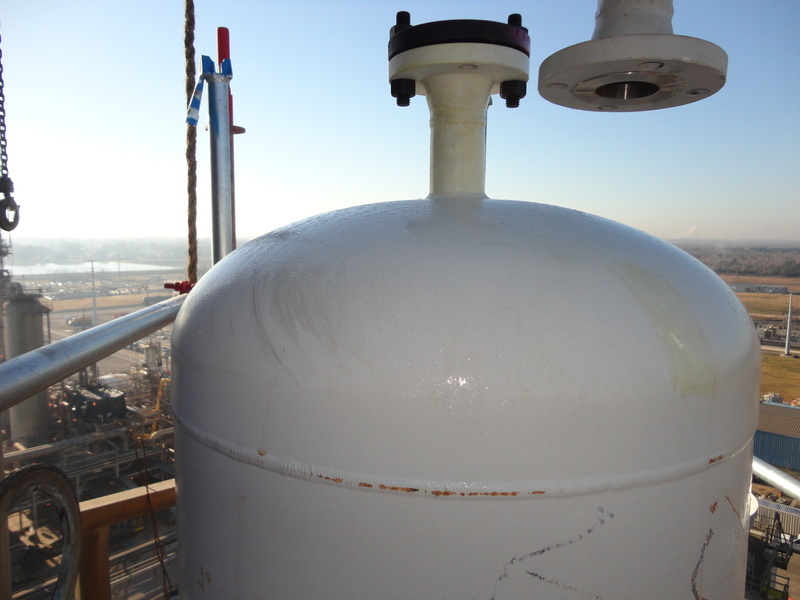 Inspections for tanks, pressure vessels and piping infrastructure are generally conducted in accordance with the American Petroleum Industry (API). API provides guidance in the form of recommended practices, technical publications and reports that cover each segment of the industry. API’s certification program qualifies personnel to conduct periodic inspections and investigate abnormalities in the operation of covered equipment. Asset Preservation Services Inc. maintains extensive experience in refinery, pulp & paper, chemical and other operations. High temperature ultrasonic inspection can be performed at temperatures of 750 degrees F, which allows equipment to continue operation during the test. Remote Visual inspection can be performed utilizing advanced camera systems designed for tank entry that reduces the need for cleaning and preparing the equipment for personnel entry. Low Frequency transducers and specialized equipment designed for FRP (Fiberglass Reinforced Polymer) piping that allows for thickness checking while on-stream. We offer a variety of advanced NDT/NDE methods that may meet your needs. Please contact us to discuss your specific requirements where advanced NDT/NDE may be employed. In today’s industries, it is becoming more important to be able to predict failure and be proactive instead of reactive to problems that may arise. This helps reduce cost and downtime due to unforeseen equipment failure. Thats the basis for a proper Mechanical Integrity program. At Asset Preservation Services, Inc., we have been striving to meet customers needs in this regard by providing them with customizable databases based on there individual needs and industries. We have a variety of pre programed modules to meet your needs and are willing to work with you on an individual basis to create the perfect Mechanical Integrity program for your facility. Utilizing AMP (Asset Management Program) we will populate the data tables using your existing information and apply the appropriate maintenance and Inspection frequencies based on any number of factors from Internal policies to State and National requirements. We offer a variety of MI startup service options to meets your needs and budget. Remote Visual Inspection or Remote Digital Video Inspection, also known as RVI or RDVI, refers to a specialty branch of nondestructive testing (NDT). RVI/RDVI is an enhanced visual examination method that facilitates acquisition of visual data by means of visual aids including but not limited to video borescopes, push cameras, pan/tilt/zoom cameras and robotic crawlers. It is commonly used where distance, angle of view and limited lighting may impair direct visual examination or where access is limited by time,financial constraints or atmospheric hazards. RVI/RDVI is commonly used as a predictive maintenance or regularly scheduled maintenance tool to assess the “health” and operability of fixed and portable assets. RVI/RDVI enables greater inspection coverage, inspection repeatability and data comparison. The “remote” portion of RVI/RDVI refers to the characterization of the operator not entering the inspection area due to physical size constraints or potential safety issues related to the inspection environment.